PROSSER, Wash. — Allen Shoup, who led Ste. Michelle Wine Estates for 17 years before launching world-famous Long Shadows Vintners, will be the 2014 inductee into the Legends of Washington Wine Hall of Fame. The Aug. 8 gala to honor Shoup marks the first time that the event will be held at the completed Walter Clore Wine & Culinary Center. It is scheduled to open this spring and has been named in honor of the late Washington State University researcher recognized as the founding father of the Washington wine industry. Past inductees to the Washington Wine Hall of Fame include Bill Preston of Preston Premium Wines; Red Mountain vintners John and Ann Williams and Jim and Pat Holmes; the late Stan Clarke, a longtime winemaker, writer and educator; the late David Lake, a Master of Wine and former winemaker of Columbia Winery; Bill Powers, who developed organic viticulture at Badger Mountain Vineyards; Myles Anderson, founder of the Walla Walla Community College viticulture and enology program; George Carter, a research partner of Clore; and Mike Hogue of Hogue Cellars. 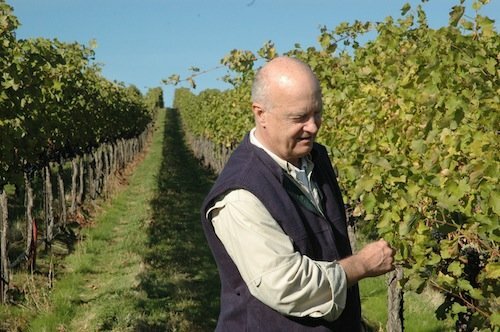 Shoup’s career in the wine industry is marked by innovation and achievement, and his roots in it began in the marketing department of E&J Gallo. He arrived at Chateau Ste. Michelle in Woodinville in 1980 and served as CEO for 17 years before resigning in 2000. During that time, he grew the company’s portfolio and developed its acclaimed “string of pearls.” Northstar Winery was created in 1994 to focus on Merlot in Washington, and he hired famed California winemaker Jed Steele — formerly of Kendall-Jackson — for initial guidance. In 1995, Ste. Michelle entered into its partnership with Italian legend Piero Antinori for the Col Solare brand. In 1999, just before Shoup’s resignation, Ste. Michelle began its association with renowned German producer Ernst Loosen for Eroica, a Riesling program that initially marketed to the restaurant trade which became a nexus for the renaissance of Riesling in the United States. Shoup’s friendship with Tacoma native Dale Chihuly led to the development of Chateau Ste. Michelle’s Artist Series, launched with the 1993 vintage using images of Chihuly art on the labels of the red Meritage-style blend. Not long after resigning from Ste. 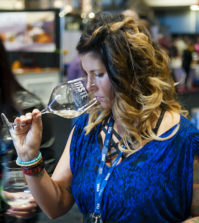 Michelle, Shoup began working in earnest on plans for his own wine company, Long Shadows Vintners, which Food & Wine magazine named as its 2007 Winery of the Year, five years after its debut vintage. 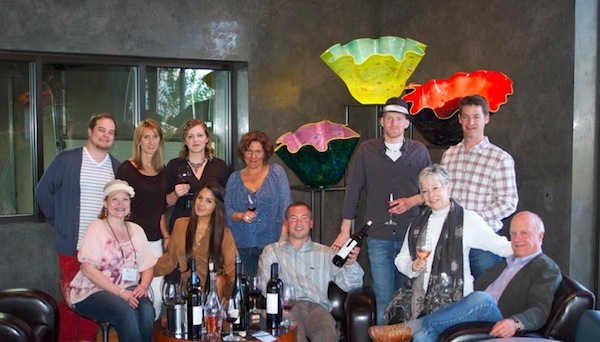 The award-winning collective in Walla Walla — where Chihuly pieces are displayed — features seven famous winemakers from around the globe. Armin Diel, Randy Dunn, John Duval, Ambrogio and Giovanni Folonari, Agustin Huneeus, Sr., Philippe Melka and Michel Rolland source from some of the top vineyards throughout the Columbia Valley and travel to Walla Walla for their individual collaborations with on-premise winemaker Gilles Nicault, whom Shoup hired from Woodward Canyon Winery. 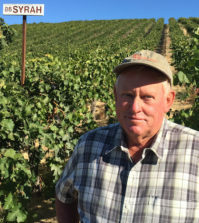 A key piece to Shoup’s business plan for Long Shadows has been the development of The Benches vineyard in Wallula, perhaps the most dramatic planting in the Pacific Northwest. Its ownership group includes many of the West Coast’s powerbrokers, and the 750-acre site has been carved out of a canyon wall along the Columbia River just upstream from McNary Dam. It’s a fascinating array of 60 blocks with 15 varieties that contribute to some of the Northwest’s top wines. A 150-acre portion is biodynamically farmed with sheep managing the cover crop. 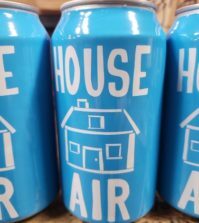 Along the way, Shoup and his wife, Kathleen, have been involved in many philanthropic causes and credited with establishing the Auction of Washington Wines in 1988. Last year, as part of its 25th anniversary, Shoup was named honorary vintner of the event that has raised more than $30 million to help the Children’s Hospital, Washington State University and other beneficiaries. He also helped establish the Washington Wine Institute, a lobbying organization for the industry with an office near the state Capitol in Olympia. Shoup, 70, also has played a role in guiding the Clore Center, serving as a board member early on. His relationship with the late WSU researcher began not long after Shoup arrived in Washington state. 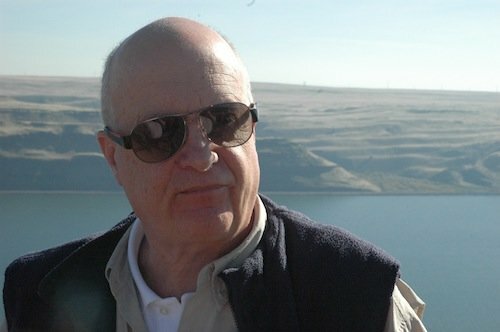 It was Shoup who enlisted Clore’s expertise on the petition to the federal government to establish the Columbia Valley American Viticultural Area in 1984. Clore died at the age of 91 in 2003. 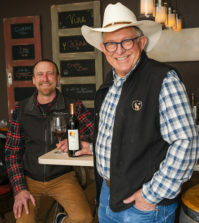 “(Clore) was involved in doing most of the work on the Columbia Valley, largely by the prompting of Allen Shoup,” longtime winemaker Wade Wolfe told Great Northwest Wine last year. Columbia Crest in Paterson, the sister winery that Shoup also oversaw, began paying tribute with the famed horticulturalist by naming its reserve red wine Walter Clore Private Reserve, starting with the 1999 vintage — the year before Shoup left Ste. Michelle. A commissioned bronze piece in Shoup’s honor will be displayed alongside other Hall of Fame inductees at the Walter Clore Wine & Culinary Center. 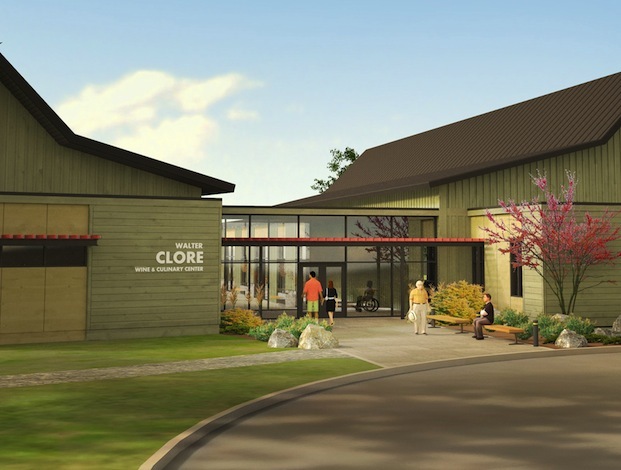 The 15,000 square foot Clore Center will feature exhibits that focus on the state wine and agriculture industries, a demonstration kitchen, a tasting area for wine and food, retail space, and will provide indoor and outdoor venues for conferences, classes, meetings, business and social events. It has been developed in partnership with the Port of Benton and with the help of private supporters. Fundraising for the Clore Center continues. For more information or to make a donation, call 509-786-1000 or visit www.theclorecenter.org.